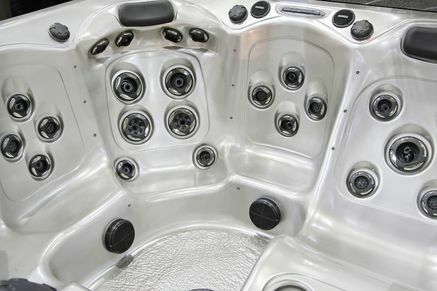 Hot Tubs Denver will provide you with every service for hot tubs in Denver including the delivery of your brand new spa! If you feel that your home is located in an awkward spot for spa, deliver you may be concerned that Hot Tubs Denver will not be able to deliver. Fortunately, we have an exceptionally qualified and experienced delivery team that are prepared to deliver any hot tubs in Denver no matter how difficult it may seem. Our team will work with you to make sure that you get your new spa, and work with you on any complicated situations for delivery. So no matter where you are looking to have your Denver hot tub delivered, the team at Hot Tubs Denver will take care of you! When deciding where you're going to put your hot tub, it is important to make sure that there are no low hanging limbs, awnings, gas or water meters that stick out or any other obstacles. To deliver a spa in Denver, our team will need a location that is clear of barriers to make sure nothing happens to your spa. Making sure your delivery area is clear of obstacles, including power lines, your Denver hot tub delivery will go smoothly. If there are any sharp turns on the path for your delivery, it is important to make sure that the spa will fit through while making the turn. Taking measurements ahead of time will help you make sure the delivery team has a clear path to deliver your Denver hot tub with ease. There are many factors at play when determining the cost of delivering spas in Denver. When you choose Hot Tubs Denver, we will give you customized quotes for delivery before you pay a dime, so you do not have to worry about a sneaky charge that catches you off guard. Give us a call to find out more about the cost of delivering a Denver hot tub today!